Make All A Bloom Florist your first choice for premium fresh flowers and upscale design artistry for your dream wedding and all your special occasions! We take special care to ensure the bouquets and floral decor reflect your individual style and budget… whether you prefer a look that is timeless and traditional or sleek and contemporary. More couples these days are also choosing themes for their weddings and parties, including The Beach, Garden, Winter Wonderland, Butterflies, Asian, Tea Party, and other fun and unique ideas. Each wedding we do is custom-designed with you in mind! 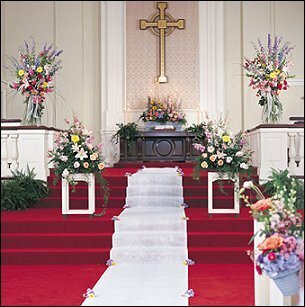 Our friendly floral wedding consultants can suggest many beautiful design styles to create the look you hope to achieve. 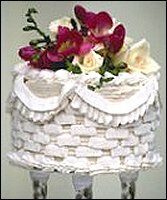 We design wedding packages that include: bride and attendant bouquets, essential bridal party flowers, corsages and boutonnieres, ceremony décor, candelabra flowers, garlands of flowers and foliage, as well as all your table centerpieces, flowers for the cake table, topiaries, and reception flowers, too! 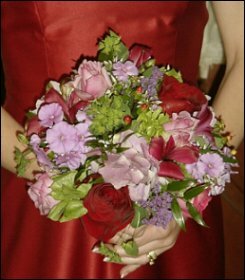 We have a staff of professionals you can depend on to help you choose a bouquet that’s right for you! 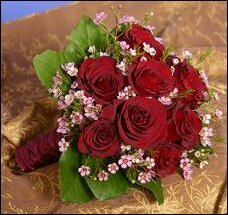 Our talented designers are skilled in creating all of the most popular styles of bouquets and floral arrangements. Recently, we've been specializing in round, hand-tied styles featuring flowers that appear to have been freshly-picked from a garden. When choosing specific flowers, select seasonal varieties that coordinate with your gown and enhance the wedding decor. Also, consider customizing your bouquet with trendy accents, like crystals, pearls, berries, butterflies, rhinestones, fruit, feathers, etc. 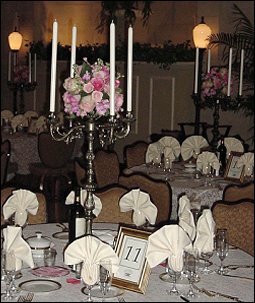 wedding/party rentals, arches, candelabra, columns, pedestals, etc. All A Bloom Florist is more than just your average flower shop, and we'd love to make ALL your special days, EXTRA special! Call us in advance at (251) 666-0509 or (800) 654-4467 to schedule a consultation and we'll help you start planning an absolutely beautiful and unforgettable event! All A Bloom Florist is conveniently located at 6677 Three Notch Road Suite A, near Mobile Memorial Gardens Funeral Home and Serenity Funeral Home in Mobile, AL. We are open to serve all your floral & gift-giving needs: Monday through Friday 8:30 to 6:00, Saturday 9:00 to 3:00, and closed Sunday. Our phones are answered 24 hours a day. Whether formal or casual… a small gathering or the social event of the year… it’s sure to be a “blooming success” with All A Bloom Florist!